Often times when teeth break there is not enough tooth structure for Dr. Nugent to work with. Thus, a procedure called a Post and Core is preformed. A root canal is done and then a fiber post is put into the tooth where the nerve used to be. Placing the fiber post deep in the tooth allows for more retentive strength of the new tooth material that will be placed. The build up material (white composite filling) bonds chemically to the tooth. The post adds a mechanical element to the tooth. The result is a much stronger foundation for the new crown. The Post and Core procedure is valuable in saving very broken down and decayed teeth. It is very predictable and has good longevity. 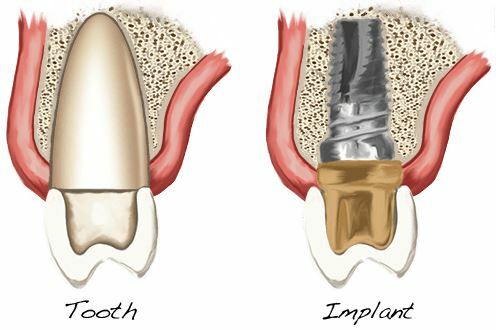 If the tooth can’t be saved then it is best to do a dental implant. Dental implants completely replace a lost tooth. Dr. Michael Nugent practices general dentistry in Pasadena, Texas. His main areas of interest are Family, Cosmetic, Implant and Sedation Dentistry. He has been voted BEST PASADENA TEXAS DENTIST multiple times. The dental office is located at 3421 Burke Rd, Ste A, Pasadena, Texas 77504.